Hello there peeps...how has everyone's week been so far? Hope everyone is surviving the heat! 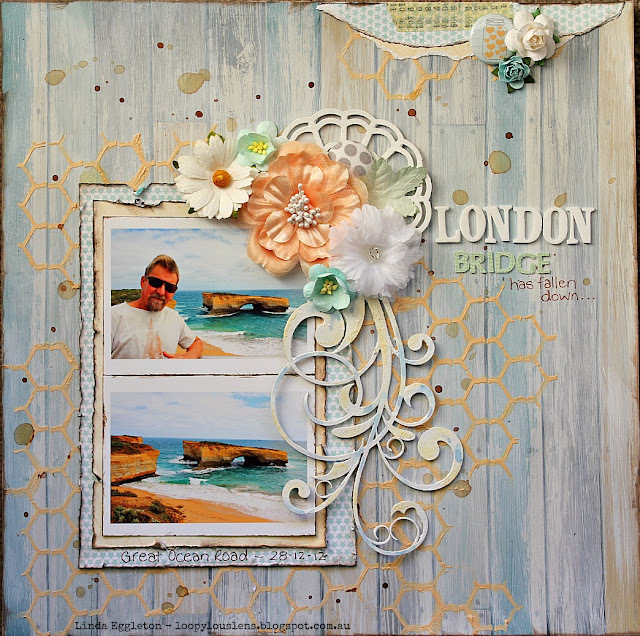 Just a quick post tonight to share a layout for the Dec/Jan sketch challenge at Paper Stories. 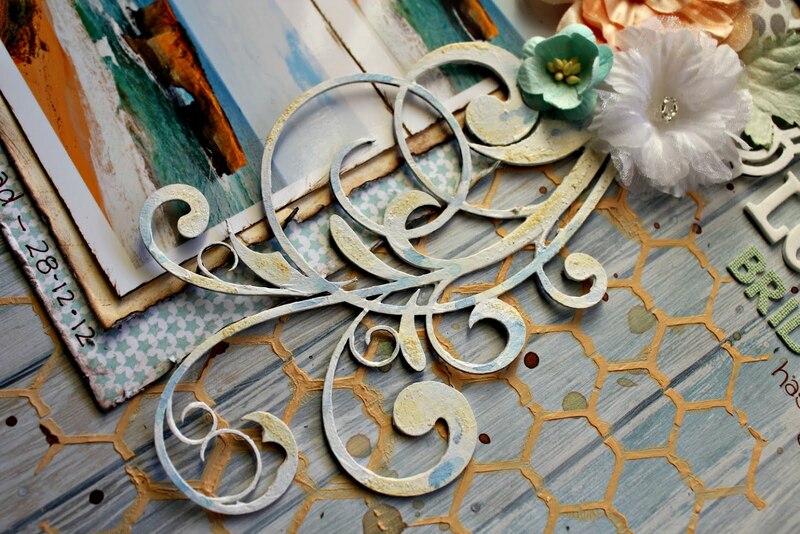 This piece is the stunning 2crafty Fifi's Flourish...love it! 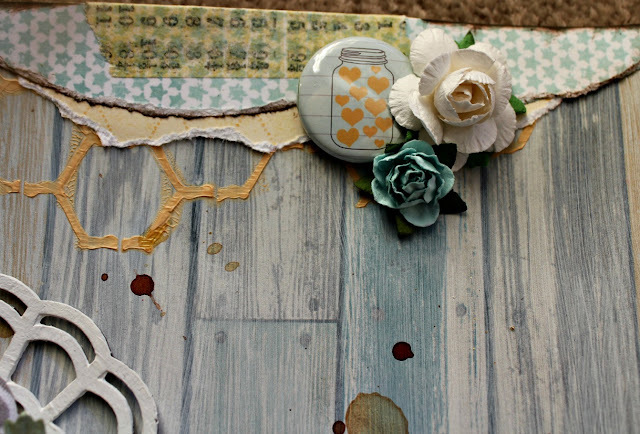 And another small cluster with some more MME papers & washi tape along the top. Wow Linda, this sooo pretty! Love the colors you have used. Thanks so much for playing along with us at Paper Stories!! Love that florish, it looks amazing. Beautiful photos too. I absolutely adore this Linda! 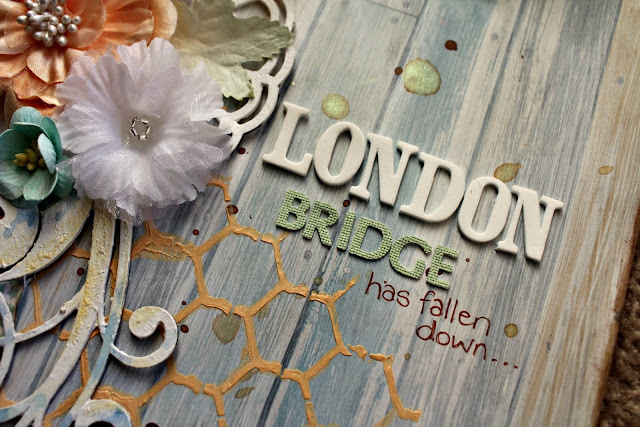 Love the colours, the title, everything! 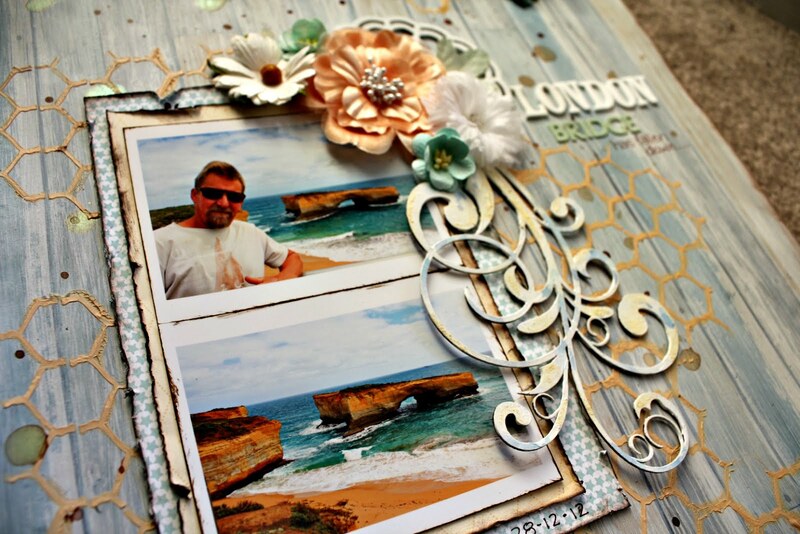 Hi Linda, love the colours in this layout it looks fantastic! Your choice of background paper for these photos are just so perfect. 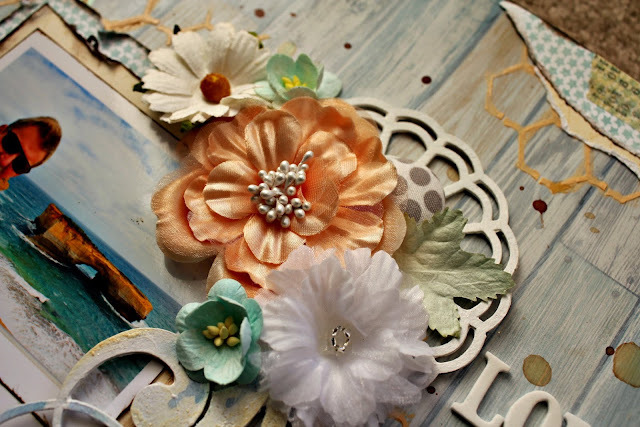 Gorgeous layout...lovely blooms...great masking. Gorgeous chippy finishing...mine NEVER works like yours [*sigh*]...& that chicken wire in the apricot? INSPIRED:):):):)!!!!!!!!! Oh my gosh gorgeous LO. This is so delightful! I love how you have rotated the sketch to make it work for you. Really lovely! D-E-L-I-S-H page Linda! absolutely adore the apricot chicken wire masking and the soft teal against the board bp. So glad you found use for the Green Tara blooms, love them so much myself! Mwah! So beautiful Linda!! 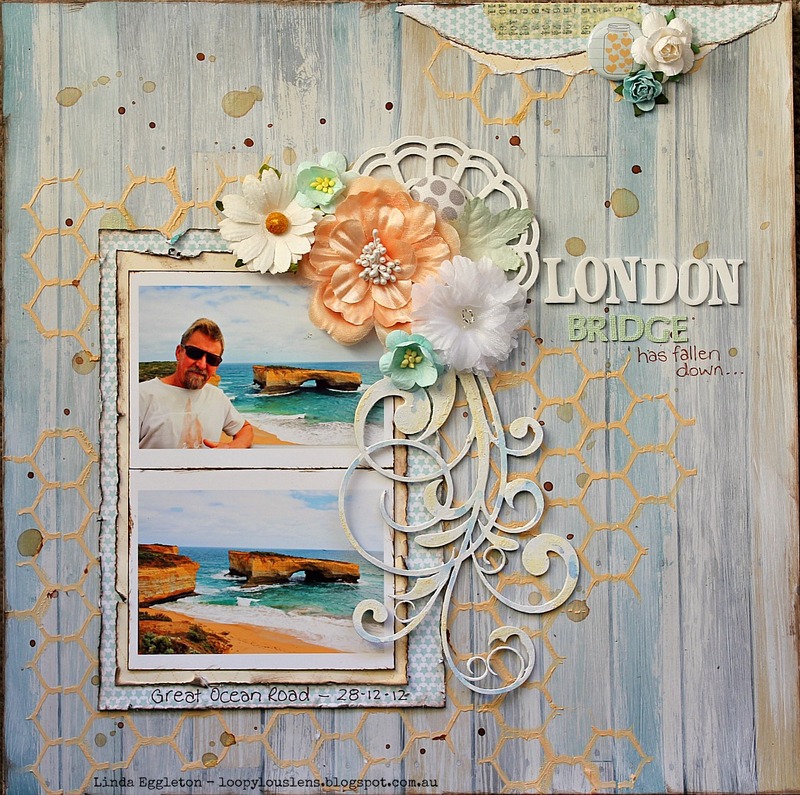 Just the right amount of everything and the colours and mixed media work are great! Do you love creating with chipboard?! ?